“Milo’s Shadow” – Doof follows Milo around for a day to try and learn how to be more like him. *Hal Sparks (Disney XD’s “Lab Rats”) guest stars as conspiracy theorist, Chaffe. “Sick Day” – When aliens try to retrieve a tissue sample from a sick Milo, Diogee intervenes. 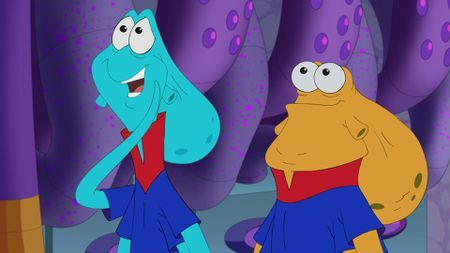 *John Ross Bowie and Cedric Yarbrough (ABC’s “Speechless”) guest star as shape-shifting alien buddies, Loab and Khone.